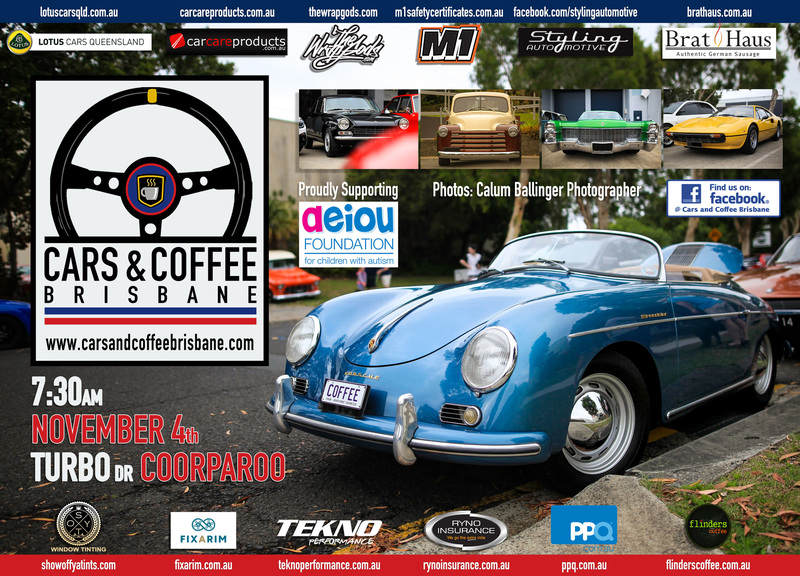 Cars & Coffee Brisbane is on again Saturday the 4th of November. Please join us in your rare, classic, vintage, historic, exotic or race vehicles. We would like to thank our ongoing sponsors PPQ Personalised Plates Queensland, Styling Automotive, M1 Safety Certificates, Show off ya Tints, Ryno Insurance Services Pty Ltd, Car Care Products, TEKNO Performance, Flinders Coffee, Lotus Cars QLD, Fixarim Pty Ltd & The Bratmobile. We would also like to extend a warm welcome to The WRAP GODS for the first time. This month the lovely people from AEIOU Foundation for Children with Autism will be collecting for their extremely worthy cause. Please dig deep. 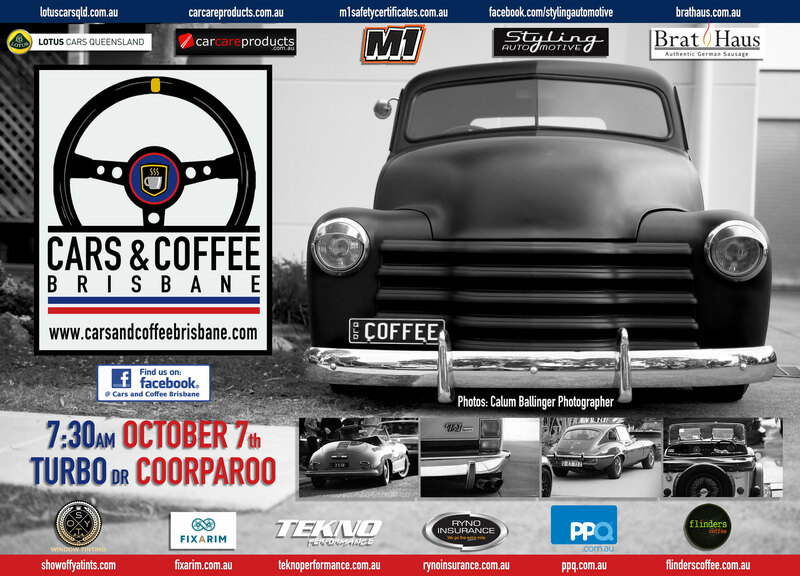 The next Cars & Coffee Brisbane is on Saturday the 7th of October. Please join us in your rare, classic, vintage, historic, exotic or race vehicles. We would like to thank our sponsors The Bratmobile, Fixarim Pty Ltd, Styling Automotive, M1 Safety Certificates, Show off ya Tints, Ryno Insurance Services Pty Ltd, Car Care Products, TEKNO Performance, Flinders Coffee, Lotus Cars QLD & PPQ Personalised Plates Queenslandfor their ongoing support. We are currently looking for our next charity to support. If you are part of a charity organisation who have volunteers who would be happy to collect donations on the day, we would love to hear from you. This is a family-friendly event, so please drive responsibly.